This course is made up of many distinct sections, each focusing on a specific area of wedding floral design. Each time you go through another section of the course, its like you have taken another class. The wedding floral design classes in this course will teach you how to design wedding flowers the right way-using the proper techniques and methods. Our wedding floral design classes will transform an amateur into professional wedding floral designer. When you have completed our wedding floral design classes, you will know how to produce designs of professional quality. One of the things people enjoy most about floral design is the creative process. However, every floral designer will tell you that a firm understanding of the recognized guidelines and fundamental principals of floral design is essential for the designer to have a solid foundation from which to spread her creative wings. The goal of this course and the wedding floral design classes it contains is to demonstrate fascinating techniques, methods, principals and theories of floristry as they pertain specifically to wedding floral design, in addition to offering inspiration in the form of innovative and creative approaches and ideas. This is what leads to really amazing looking, professional designs. This intensive, comprehensive course will explore design theory so that, when combined with your creativity and imagination, this base of formalized knowledge will enable you to create arrangements which have wonderful structure, a universal sense of appeal, and deliver amazing visual impact – in other words, quality arrangements which look sensational. But don’t let the word ‘theory’ make you ‘creative types’ uneasy. Floral design is first and foremost an art form, and we will treat it, appreciate it, and approach it as such in this course. Therefore, although it is important to understand the theory of good design, this course is not about memorizing endless rules of design theory. After all, what is art if it isn’t about expressing your own personal taste and sense of style, and allowing your eye to create a work which it naturally finds pleasing? Behind every breathtakingly beautiful bridal bouquet or arrangement lies an understanding of some rather ‘mechanical’ procedures which you will learn in this course. For example, properly processing and conditioning flowers or greenery so that they remain at optimal freshness during their long hours at the center of attention is critically important in creating an exquisite design. It is also essential to have solid knowledge of the proper methods of bouquet construction if you are to design bouquets which show well, are professional looking, and are durable. Having a firm understanding of the various wiring and taping techniques for wedding bouquets, corsages, boutonnieres and other arrangements will give your designs strong support and good shape, ensuring that they maintain the look you intended for them to have, and that they remain well assembled from the time they are delivered to the wedding right up until the moment the music stops playing and the last guest leaves. 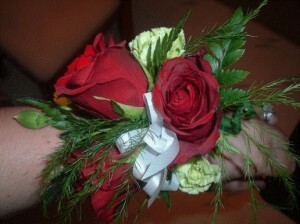 What an embarrassment it would be, to say the least, if the brides bouquet were to start falling apart at the wedding. Its happened far too many times to far too many brides due to poorly constructed designs put together by people with no knowledge of the proper techniques. This course will ensure you have a firm understanding of those proper design techniques. An exceptional designer will also always want to pay very close attention to the finishing details; there are many possible ways to make use of finishing touches which can transform an ordinary bouquet into one which is absolutely awesome. We’ll teach you how to create pretty stem wraps, lovely bouquet collars, and exquisite handle treatments – because as we here at The Institute of Weddings like to say, when it comes to weddings, the details make all the difference! To be a wedding floral designer it is essential to have the technical knowledge and skill taught in this course. However, while some courses strive to make the art of floral design seem overly complicated, this course has been developed to do precisely the opposite. The objective of all the floral design classes contained in this course is to show you how really simple all of the techniques, processes, methods, and procedures actually are once you understand them, and how very attainable the skills to become a proficient wedding floral designer are when they are presented in the right manner. With the instruction provided in this course, anyone with the desire to learn wedding floral design can be creating beautiful flowers for weddings in just a short time. We boil down all of the theory, techniques, methods and approaches so that they are easy to understand, to utilize, and to apply into your own design work. Better yet, this course will provide you with the solid foundation of knowledge and understanding to create designs of your own, and to have the ability to design the flowers you see in photos. With the fundamentals you will learn in this course, you will never be dependent on someone else to provide you with instructions or ‘recipes’ for making floral arrangements. This course gives you the tools you need to be able to design independently. This is what it means to be a real designer. If you are not already familiar with The International Institute of Weddings and would like to learn more about our credentials click here. Flowers play a major role in wedding décor, and lend themselves to wedding fashion. They provide a significant focal point at any wedding. And so, the role of the wedding floral designer is an important one. So much so that it is quite likely that the bride will remember the person she selects to design her wedding flowers for many years beyond her big day. Flowers help the bride achieve that fairy tale effect which she has been dreaming of since she was a little girl. Surrounded by such things of beauty and luxury on her wedding day, the bride is made to feel like a princess, if just for that one brief day of her life. 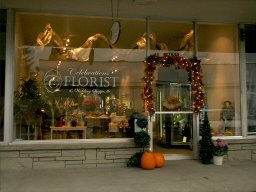 As the floral designer, you will be instrumental in helping to create that feeling for her. What could be more exciting or rewarding? 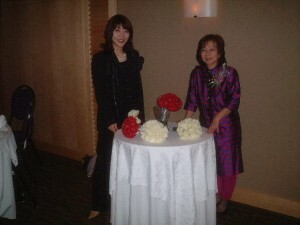 One of our floral design students at one of the weddings she designed for. As a wedding floral designer, you’ve got one of the best jobs in the world. You get to constantly surround yourself with people who are at the happiest points in their lives, and you will make an important contribution to one of the most memorable days they’ll ever experience. When you have the opportunity to work in not one, but two glamorous fields – the floral industry and the wedding industry – you’ll exist in a world of happiness, anticipation, excitement, prestige, glamor, and romance, constantly surrounded by beautiful things. This course will provide you with a foundation of knowledge to develop the skills to design wedding flowers, beautifully and professionally – as a career, as a business, or if you prefer, simply as a pleasurable pass-time doing flowers for the weddings of friends and family. You’ll impress everyone around you with your newly developed talent, skill, knowledge, and floral design ability. With what she learned in our Wedding Floral Design course and then our Wedding Floral Business course, one of our students went on to open this successful floral design shop in her local area. 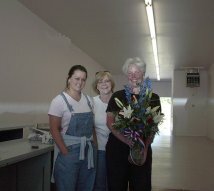 The Dream Achieved – Right: A Floral Design Shop opened by one of our graduates following completion of this course. Once you have completed this course, you will have the ability to go into business as a wedding floral designer if you so choose. Our self-study training manual, How to Start & Operate a Wedding Floral Business is an invaluable resource for anyone who is interested in pursuing this path, and since 1999, has helped hundreds of people just like you to establish their own wedding floral businesses, either working from the comfort of their own home, or opening storefront. It will pave the way for you to successfully, affordably, efficiently, and quickly establish your own business as a wedding floral designer. It will provide you with the specific and detailed information you need to know to become a major player in your area for the services you will offer. If you already have a small business as a wedding floral designer, this business training manual will provide you strategic business knowledge to propel your business to heightened levels of success, to attract more customers, and to enable you to operate your business more effectively. And if you currently operate some other form of business within the wedding industry, the wedding floral business course will show you how to successfully add wedding floral design services to your operation in order to significantly expand your base of revenue and provide the bride with a more extensive, full service shopping environment. If you wish to order the Floral Business Training Manual with the design course, we’ll ship both orders together so you save on shipping charges. We are pleased to accept students of all ages. Our training materials are written in an easy to understand, enjoyable, yet highly informative manner. So whether you are 18 or 81 years of age (yes, we’ve had students at all stages of life! ), and everything in between, this course will be of benefit. All you need is a passion for flowers and weddings, and a genuine desire to learn. We’ll take it from there! All photos featured in the course description are of actual design work done by students of this course, based on the techniques, methods, and lessons they have learned in the course material. Enoll today and you’ll soon be designing gorgeous flowers for weddings using professional floristry techniques and methods revealed in the program.